Oklahoma City’s rite of spring, The Festival of the Arts, is a community celebration of the visual arts, performing arts, and culinary arts. 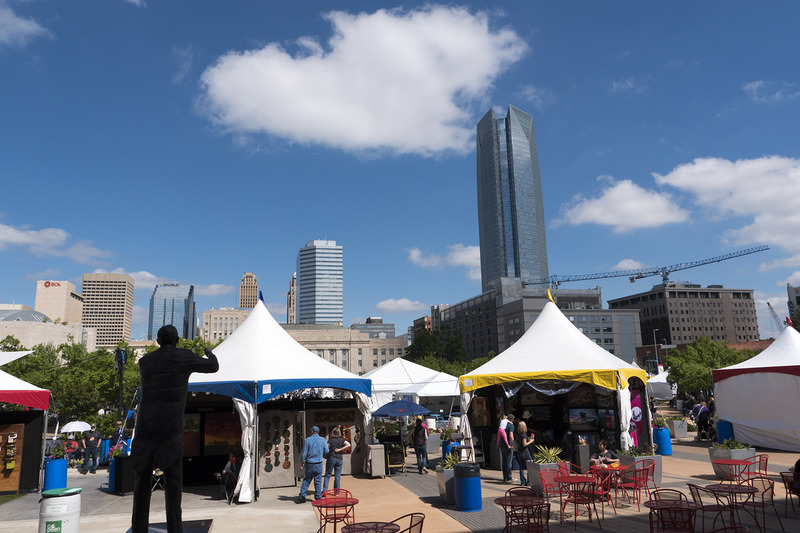 The 2019 Festival of the Arts will take place April 23-28 in Downtown Oklahoma City at the Bicentennial Park. The festival runs from 11 am to 9 pm Tuesday through Saturday and 11 am to 6 pm on Sunday. Not sure why you should go? Here are five reasons why. Admission to the Festival of the Arts is free and always has been free. However, being located in Downtown Oklahoma City, you may have to pay for parking. Also, pets are not allowed. Festival of the Arts is home to 144 artists to be precise and this was dwindled down from over 500 artists nation wide that had applied. Media includes oils, water, drawing and printmaking, photography, clay, glass, sculpture, fiber, jewelry, wood, leather, and two and three-dimensional works. Throughout the festival, the artists will be there personally to answer your questions and discuss their work. All artwork is original and is for sale. 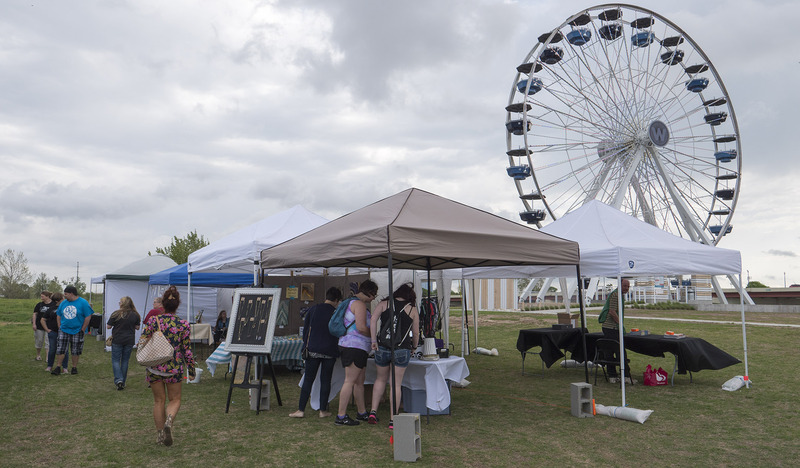 Be sure to visit the Artist Market for reproductions, posters, and note cards of original works by Festival artists. Arts for children and families include hands-on activities in the Children’s Art Field for just $2. The Young-at-Art Mart is the children-only shopping venue with all artwork affordably priced for $5 or less. Families can also visit Face Painting, Pottery Place, and Creation Station for more fun! 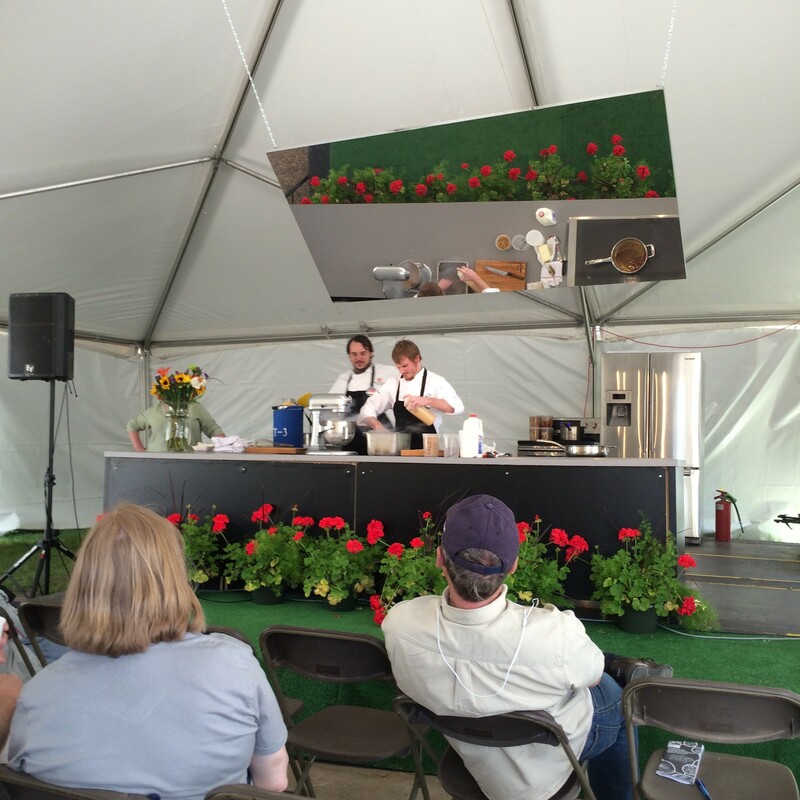 From appetizers to desserts, the Festival is a celebration of the culinary arts! Various vendors bring their specialties to the International Food Row and throughout the grounds. Each food vendor is partnered with a local arts organization, so each bite you take supports the arts in central Oklahoma! Nearly 300 entertainers of all ages donate their performances on various stages at the Festival. Those are some of the many reasons to visit the Festival of the Arts. For more information, including food vendors, schedules, and maps, visit the Festival of the Arts site at the Arts Council of OKC site. The 2019 Festival of the Arts will take place on April 23-28, giving you plenty of chances to go. Join the 2nd Annual gathering of The Big Lebowksi Fans at The Dude Abides OKC! ALL Oklahoma City Urban Acheivers, Abiders and Coen Brothers fans are invited to join us Fassler Hall OKC and Dust Bowl Lanes & Lounge OKC! FREE ADMISSION! The night will kick off at 8:00 PM with a Trivia Contest (first 50 to register get in), followed by a group wedding/renewal of vows by an ordained Dudeist Priest (first 10 couples to register), then a costume contest (first 50 to register will get in). Finally, the official after party moves downstairs to the Dust Bowl, with bowling specials to be announced soon. THIS EVENT IS FREE ADMISSION. TICKETS ARE REQUIRED FOR THE WEDDING, TRIVIA and COSTUMES CONTESTS ONLY. All $ from entries in the trivia and costume contests will be used for prizes – $100 FOR FIRST PLACE! The Okay See Clothing and Community are the creators of the official The Dude Abides OKC t-shirts will be there printing our shirts on site! The Paseo Arts District’s First Friday Gallery Walk features more than 80 artists in more than 25 galleries participating, all within walking distance. Paseo galleries offer special themed exhibits, refreshments, guest artists and a variety of entertainment opportunities. The night typically features four to six Art Opening Receptions to showcase the new work of the gallery/studio owners or the work of guest artists. Come visit Oklahoma City’s historic arts district to experience dozens of galleries, three restaurants, and a handful of shops stand in distinctive Spanish Mission Revival style buildings, all within a two block distance. The First Friday Gallery Walk starts on the First Friday of every month at 6 pm and lasts until 10 pm. WANDERLUST Pop Up Shops is an outdoor market at the Wheeler Ferris Wheel that includes exhibitors that are artists, hand-crafted artisans, food trucks, boutiques, repurposed, vintage, and unique local businesses. There will be no direct sales or multi-level marketing vendors at this event. Best of all, admission is free. This event is owned and produced by Revolve Productions. 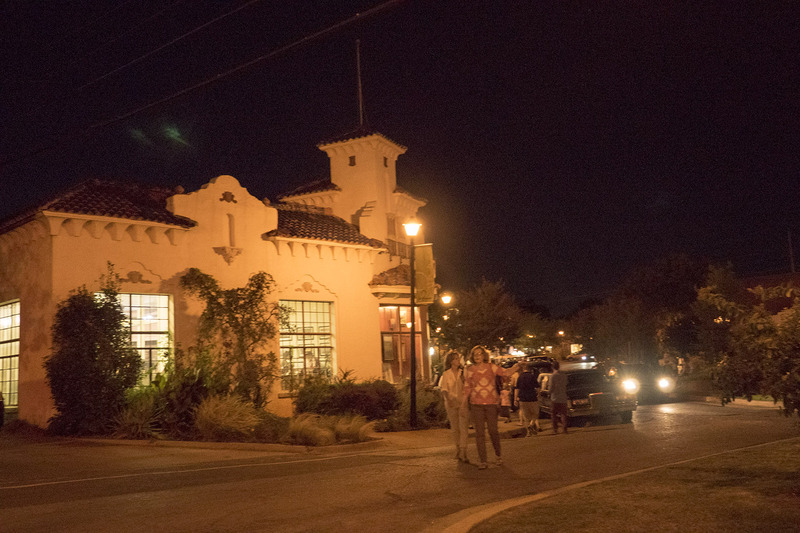 The 2nd Friday Norman Art Walk is a monthly, citywide celebration of art in Norman. It’s a collaboration between artists, art organizations, and businesses, brought to you by the Norman Arts Council. All events are free and open to the public from 6pm to 9pm. 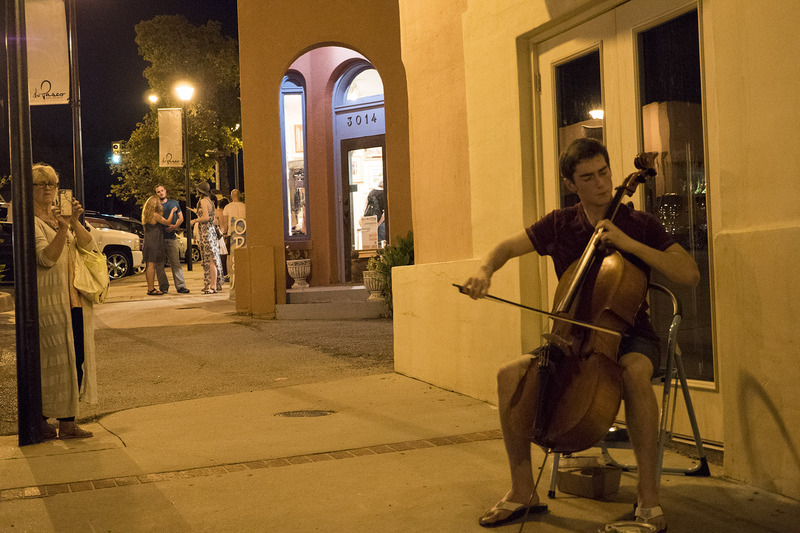 The main action happens in Downtown Norman where many of the businesses are having art shows, live music, giveaways, and other fun activities. Pay attention to doors! There are hidden treasures, like Gallery123. On 123 E. Main St. in downtown is a doorway leading upstairs to several small art studios. Come early because it will take time to walk all of Downtown Norman. Okie Made Market is an outdoor market in the OKC Farmers Market District featuring vendors that carry products strictly made in Oklahoma including handmade decor, handmade furniture, handmade clothing, crafts, canned goods/packaged foods, fresh vegetables, wine, art and many other items made by Okies. Booths are $100 for each 10×10.